4” 6” 8” & 10” round tiers. Handmade sugar roses. 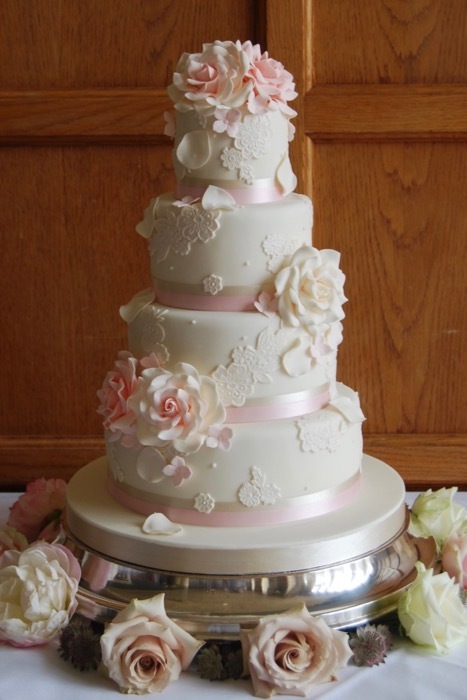 Hand made moulded lace and royal icing piped pearls. Fresh flowers at the base of the cake.